Take a visual tour of sleeping cars created by compiled photographs and slides. 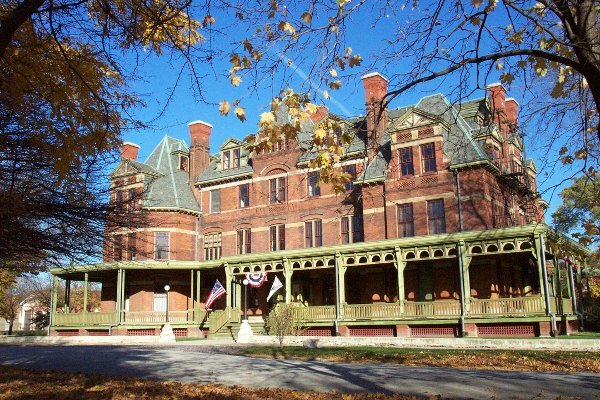 Take a tour of the historic Pullman factory and village exhibiting the unique late 19th century architecture. 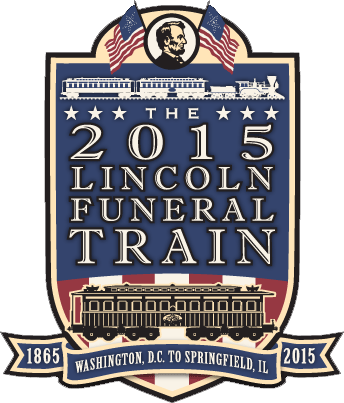 Tours of historic station sites, current Metra and Amtrak train stations, and other operations in Chicago. Jim is a columnist and feature writer for Railfan & Railroad magazine, a contributor to Classic Trains, author of Dining by Rail: The History and Recipes of the Golden Age of American Railroad Cuisine and of From the Dining Car: The Recipes and Stories Behind Today's Greatest Rail Dining Experiences. He also served as editor of Set Up Running: The Life of a Pennsylvania Railroad Engineman, 1904-1949, and of a reprint of Harry Bedwell's The Boomer: A Story of the Rails, regarded by many as the best railroad novel by a North American writer. His next book is On the Double Line: Stories of the Railroad Life by Those Who Lived It, an anthology of railroad fiction to be published by the University of Minnesota Press in 2010. He was for many years the organizer and host of the Penn State-Altoona Railroad Heritage Conference and served as the host on culinary-themed rail tours conducted by the American Orient Express. His presentations on dining car history and operations have also been popular with patrons of the Smithsonian Institution, chefs-in-training at Amtrak, students in high school culinary programs, and pre-school students who love the Western Pacific Cinnamon Toast he prepares for them. 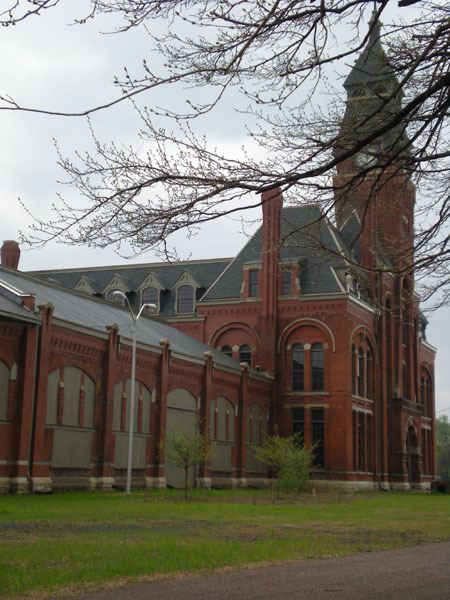 Take a field trip to the Pullman Library, the sleeping cars and other railroad equipment at the Illinois Railway Museum, in Union, Illinois. 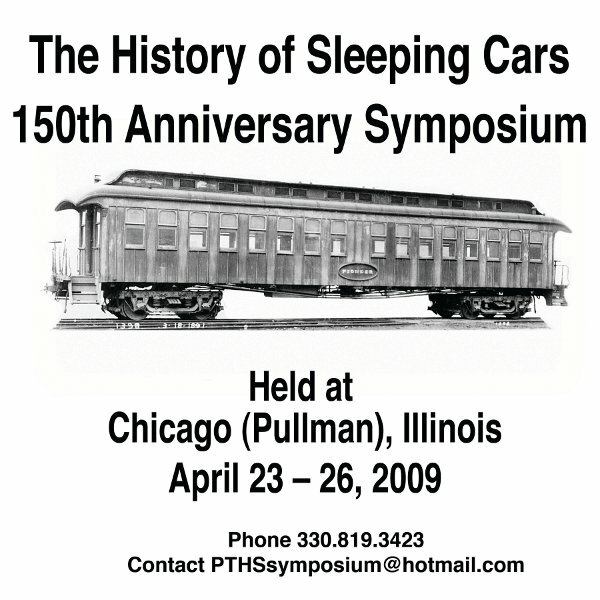 Sponsors are needed for April 23 - 26th 2009 Sleeping Car 150th Anniversary Symposium held at the Pullman Visitors Center in (Pullman) Chicago, Illinois. Symposium sponsors would have their company or organizations name / logo published in the programs and will be permitted to display signs at the event. Pre-event reception (food and beverages) for the open public meeting and slide shows. Field trip to IRM and the Pullman Drawing Library in Union, IL for shuttle bus trip expenses for bus from Metra Station (TBD) to IRM in Union IL and return.